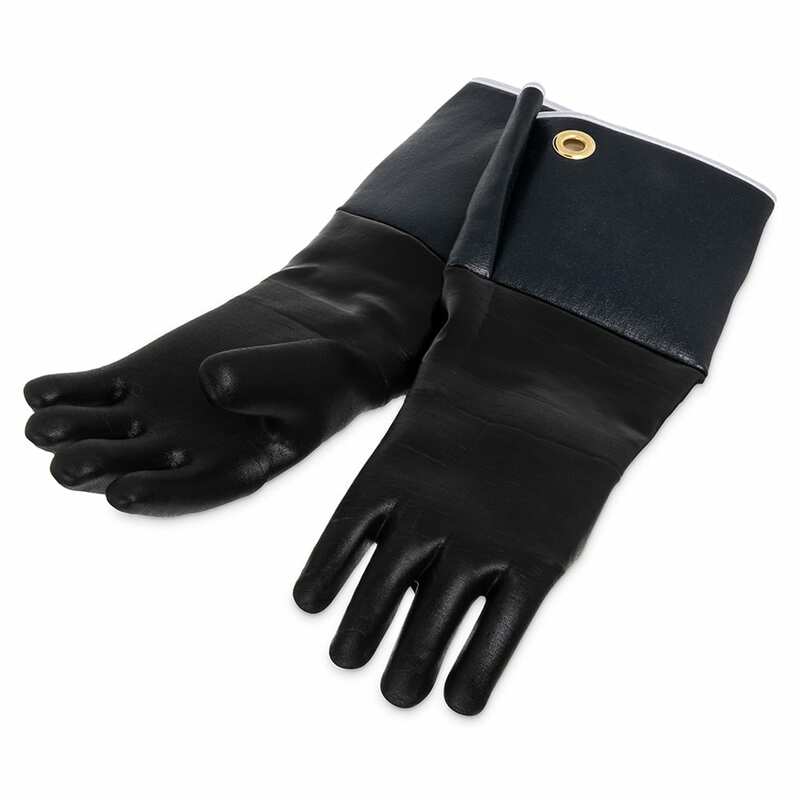 The San Jamar T1217 Rotissi gloves are made of Neoprene® rubber for resistance to stretching and wrinkling. They easily wipe clean and are great for rotisserie pits. These gloves protect hands and arms in heat, grease, and other liquids with temperatures as high as 500 degrees Fahrenheit for 15 seconds. The cotton flock lining absorbs moisture and provides comfort. Protects against heat as high as 500 degrees F for 15 sec. Gloves are an important tool in the commercial world. We have information on different kinds in the gloves buyers' guide.